The complex is supposed to be built by the Greatest of Hindu emperors there was MaharajaDhiraj Vikramaditya of Ujjaini , brother of Bharathiri the Kind and Philosopher and originator of Bharathari neeti shataka . The tower is known to have been errected to celebrate the victory of the Great Emperor Vikramaditya , over the lands now called as Arab lands . They have known to celebrate the coming of the vedic way of life . Vedic culture was very much alive just before the birth of Muhammad. Again let's refer to the Sair-Ul-Okul. The following poem was written by Jirrham Bintoi who lived 165 years before the prophet Muhammed. It is in praise of India's great King Vikramaditya who had lived 500 years before Bintoi. "Fortunate are those who were born during King Vikram's reign, he was a noble generous, dutiful ruler devoted to the welfare of his subjects. But at that time, We Arabs oblivious of divinity were lost in sensual pleasures. Plotting & torture were rampant. The darkness of ignorance had enveloped our country. Like the lamb struggling for its life in the cruel jaws of a wolf, we Arabs were gripped by ignorance. The whole country was enveloped in a darkness as intense as on a New moon night. But the present dawn & pleasant sunshine of education is the result of the favor of that noble king Vikram whose benevolence did not lose sight of us foreigners as we were. He spread his sacred culture amongst us and sent scholars from his own land whose brilliance shone like that of the sun in our country. These scholars & preceptors through whose benevolence we were once again made aware of the presence of god, introduced to his secret knowledge & put on the road to truth, had come to our country to initiate us in that culture & impart education." Thus we can see that Vedic religion and culture were present in Pre-Islamic Arabia as early as 1850 B.C., and definitely present at the time of Mohammed's birth. 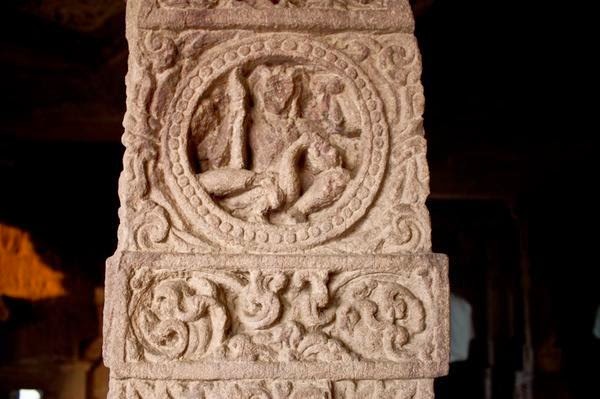 The Iron Pillar served an important astronomical function, when it was originally at Vishnupadagiri. 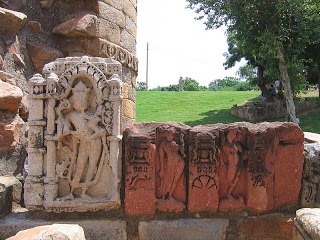 The early morning shadow of the Iron Pillar fell in the direction of the foot of Anantasayain Vishnu (in one of the panels at Udayagiri) only in the time around summer solstice (June 21).Dhillika is the old name of India's capital, New Delhi. The name Delhi is derived from the word 'Dhillika'.The Iron Pillar ,a symbol of Truth and Nemesis-God Shani of Hindu Religion was brought by Anang Pal of Tomar dynasty to Delhi to establish rule of Clean,truthful and honest governance,from Mathura a land of Krishna devotion.The idea behind it was to establish an orientation to the great epic Mahabharata which is connected to the history of Delhi as well as the significance of Gita,and Yudhishtra's ascent to heaven in bodily form; from Swargya Rohini..The Hindu rulers built temples and used psychological epigraphs and monuments to instill religion in the local The Iron pillar bears an inscription in Sanskrit which states that it was erected as a standard in honour of the Hindu god, Vishnu. It also praises the valor and qualities of a king referred to simply as Chandra, who has been identified with the Gupta King Chandragupta II Vikramaditya (375-413). 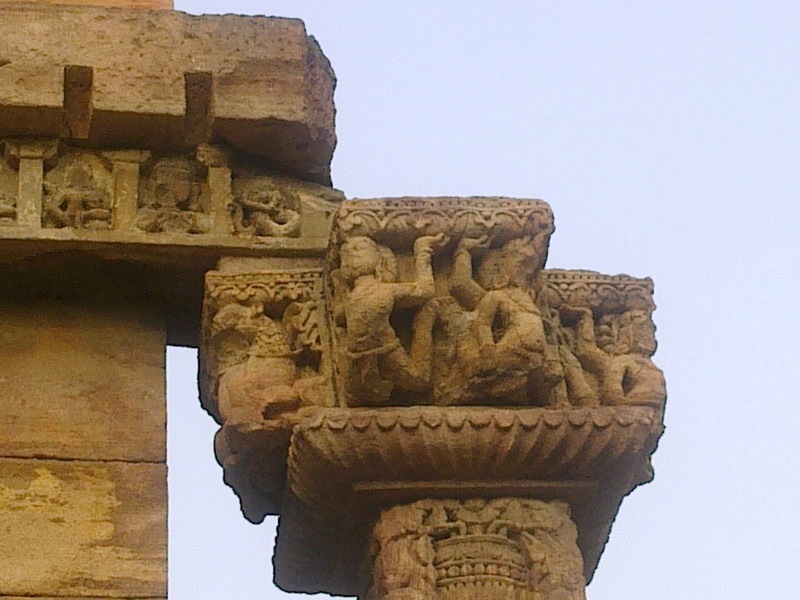 The reference was also to the Satvikka Purana [Smirti Texts of Hinduism]called Garuda Purana which is recited as a cremation ritual.The Garuda atop the pillar ,which was removed by muslims,bore testimony to what was inscribed and its relevance to the installation of the pillar.The pillar was used to signify the death principle of Hindus,the need for attaining Mokhsha and the path of Dharma. 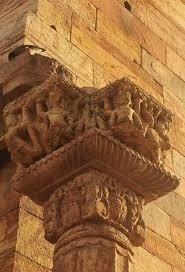 The iron pillar was the Garud Dhwaj alias Garud Stambh, i.e, the sentinel post of the Vishnu temple. The Sanskrit inscription in Brahmi script on the non-rusting iron pillar proclaimed the lofty standards of Vishnu on Vishnupad Giri. Here in the said precincts ,the description indicates that a statue of the rec- lining Vishnu ;initiating the creation was consecrated in the central shrine there which was ravaged by Mohammad Ghori and his henchman Qutubuddin. Truth revealed from sky . People usually see this tower from ground. Prof Bhatnagar hired a helicopter and took a photo from the sky. That is when he realised that is a blooming lotus flower. 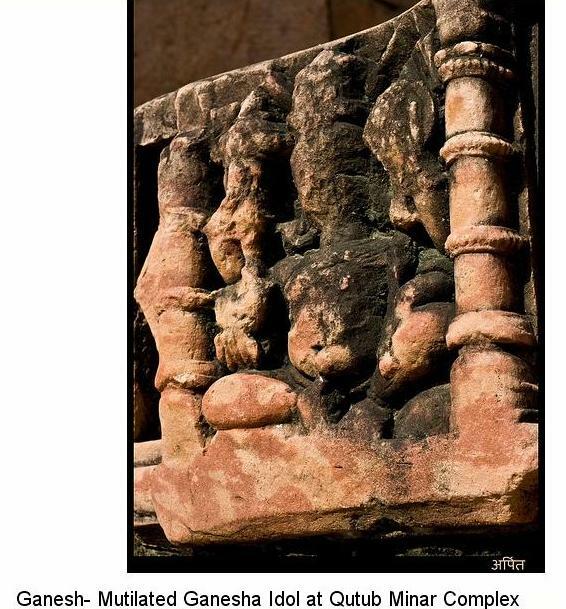 About the Qutub Minar itself there is overwhelming proof that it was a Hindu tower existing hundreds of years before Qutubuddin and therefore it is wrong to ascribe the tower to Qutubuddin. 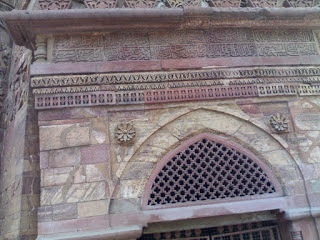 The township adjoining the Qutub Minar is known as Mehrauli. That is a Sanskrit word Mihira-awali. It signifies the township where the well known astronomer Mihira of Vikramaditya’s court lived along with his helpers, mathematicians and technicians. 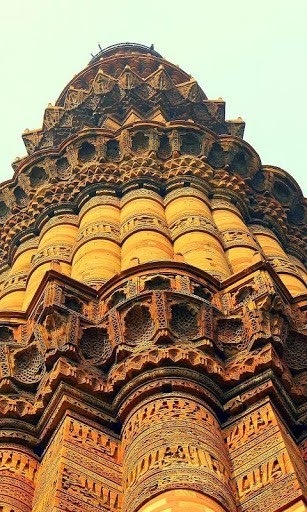 They used the so-called Qutub tower as an observation post for astronomical study. Around the tower were pavilions dedicated to the 27 constellations of the Hindu Zodiac. 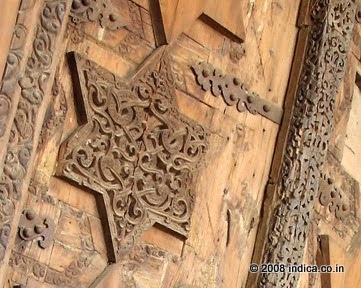 On an arch leading to the iron pillar, Qutub Ud Din Aibak left an plaque that he destroyed the 27 Hindu constellation ( Nakshatra ) temples around the stone pillar.